Jessica Tate both prosecutes and defends in a wide variety of criminal and civil cases and her written submissions have been described by members of the judiciary as being of the “highest quality”. Her practice ranges from serious violent offences to conspiracies to supply drugs and firearms, with a focus on sexual offences. She has particular expertise in representing psychologically and mentally vulnerable clients, understanding the sensitivity required when handling their cases and concerns. Jessica is an advocate who understands the importance of written advocacy and has had considerable success in having charges against clients dismissed or lowered through her submissions on paper. She also has substantial experience in defending white collar criminal offences at all stages of proceedings, including pre-charge. Jessica prosecutes for a range of organisations including the CPS, National Crime Agency, HMRC and various local authorities. She is often instructed in civil matters including condemnation, confiscation and forfeiture proceedings. She is often instructed in factually or legally complex high value cases. Jessica is direct access qualified. Jessica defends a variety of criminal charges including serious violence, dishonesty and drug offences. She often challenges the prosecution’s case early in proceedings resulting in charges being dismissed or lowered. Jessica regularly successfully defends sexual offences on both a public and private basis and has extensive experience in cross-examination of complainants and analysing, presenting and obtaining electronic material. Jessica is privately instructed to defend in Road Traffic Offences and has had considerable success in putting forward both Special Reasons and Exceptional Hardship arguments. In R v X, Jessica was instructed by a client at an early stage in defending allegations of fraud and various regulatory offences, handling detailed pre-charge procedures relating to raids on corporations, seizures and injunctions. This company was a global corporation and therefore the case involved multiple jurisdictions (including the British Virgin Islands, Mauritius and Greece). She was also part of the team reviewing and challenging the original search warrants. She is a CPS grade 2 listed prosecutor and regularly prosecutes violent, fraudulent, dishonesty and drug related offences in the Crown Court as a single junior. She recently prosecuted a section 18 stabbing case involving youth defendants and complainants and vulnerable witnesses. She often advises the CPS on evidence, charge, and whether a prosecution is in the public interest and has considerable experience in advising on and acting in any subsequent POCA proceedings following a conviction. She also prosecutes for the Royal Mail, often being instructed at an early stage in proceedings to advise on charge or evidence. Jessica was instructed by the HM Government of Gibraltar in an LPP review. She took a leading role in the exercise and was responsible for providing legal advice and practical guidance in relation to LPP and PII to counsel who were inexperienced in the field and acting in an advisory capacity to other reviewing lawyers. Jessica was also instructed first by the CPS and then by Thames Valley Police as independent disclosure counsel in Operation Hornet, a case that resulted in numerous convictions. She was also instructed as disclosure counsel assisting in the Hillsborough Inquest and has previously been instructed by Eversheds as an independent counsel in a private prosecution. Jessica regularly acts for the National Crime Agency, HMRC, the Director of Border Revenue and the Home Office in the Criminal Courts and the Tax Tribunal. She has acted in all aspects of asset forfeiture and proceeds of crime matters, including restraint, confiscation, cash forfeiture, condemnation and the restoration of goods. She has successfully appeared for prosecuting authorities at all stages of restraint and forfeiture proceedings, including cases with a complex factual matrix involving multiple jurisdictions. She also regularly appears in proceedings under the Proceeds of Crime Act 2002 for the detention and forfeiture of seized cash, both at first instance in the Magistrates’ Court and on appeal to the Crown Court. Jessica is frequently instructed to appear in the First Tier Tax Tribunal and Crown Court to defend appeals against decisions not to restore seized goods. Jessica has successfully appeared for claimant in the First Tier (Immigration and Asylum) Tribunal and drafted a range of skeleton arguments and representations. She is regularly instructed by the Government Legal Department to draft Summary Grounds and Cost Submissions in Judicial Review proceedings. Jessica regularly prosecutes on behalf of Local Authorities in both the Crown and Magistrates Court in cases involving failure to comply with the Food Hygiene (England) Regulations and Trading Standards, offences contrary to the Town and Country Planning Act and various fraudulent and trademark offences. She also appears in any related POCA proceedings. She has also successfully defended individuals charged with offences contrary to the Housing Act, recently having a case dismissed at halftime having been incorrectly charged. Jessica has also appeared for the London Borough of Ealing in several breaches of School Attendance Order. In the course of proceedings she has advised the Local Authority on how to comply with their duties of disclosure and transparency without breaching the defendants’ Human Rights and EU Laws in relation to dissemination of personal information. Jessica has experience in prosecuting various ‘pilot scheme offences’ for several Local Authorities. She appeared for Brent and Harrow Council in their first Crown Court prosecution under the Town and Country Planning Act. She acted in an advisory capacity from the beginning of proceedings. The defendant pleaded guilty to all charges. She was also instructed counsel at sentence and during the contested confiscation proceedings at which the Council were successfully able to reclaim all the costs and all the benefit accrued from the criminal activity. Jessica is currently instructed by the City of London Corporation in the first Crown Court prosecution brought by one department in relation to environmental regulations and has taken an active role early in proceedings advising on charge, evidence and the disclosure process. She has also advised the City of London on how to commence Criminal Behaviour Order proceedings against a defendant who was repeatedly unlawfully trading within the jurisdiction. There was no precedent for applying for such an order and as such Jessica has advised on evidence and procedure in relation to obtaining the order. 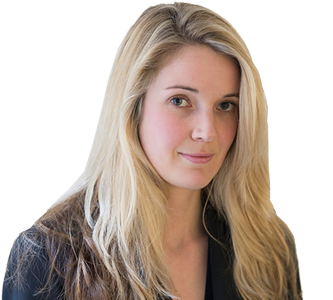 R v. Constantinou – Jessica was led by Miranda Moore QC in defending two trials at the Central Criminal Court arising out of allegations of serious sexual assault involving multiple complainants. The first trial was abandoned following the defence’s highlighting of the Crown’s failures to comply with their disclosure duties. Their client was ultimately acquitted of the most serious allegation and several other charges. R v O’Garro – Jessica appeared for one of the defendants charged in several wide-ranging conspiracies to supply class A drugs also involving the use of a firearm and ammunition. Jessica drafted an application to dismiss the charges, resulting in the conspiracy charges against her client being withdrawn. R v. Halliday – Jessica appeared for a defendant accused of a serious sexual assault. The Crown dropped all charges against the defendant prior to the trial following her written and oral representations. R v. Lewis – Jessica’s client was charged with three offences following an affray involving multiple persons and weapons including a machete. Her client was charged with three offences and the Crown were forced to offer no evidence two of the charges, including a charge of affray, following Jessica’s written and oral submissions. Her client was the only defendant to receive a non-custodial sentence.